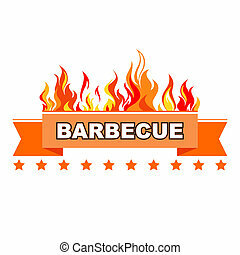 Barbecue symbol/icon. 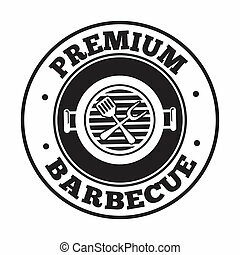 Genuine smokehouse barbecue design element. 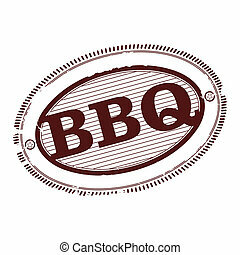 Genuine Smokehouse Barbecue design element. 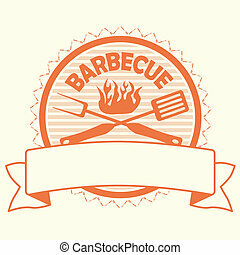 illustration of barbecue label, stamp design element. 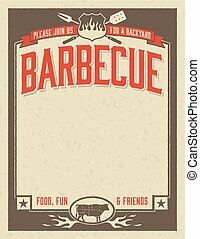 Invitation template for barbecue party. 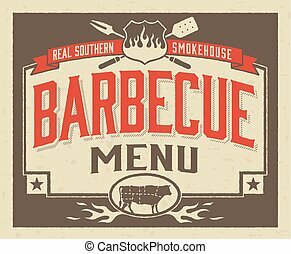 Easy to edit colors and shapes. 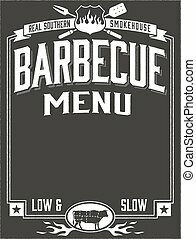 Template for barbecue restaurant or party. 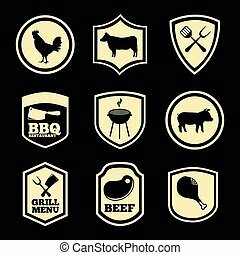 Easy to edit colors and shapes. 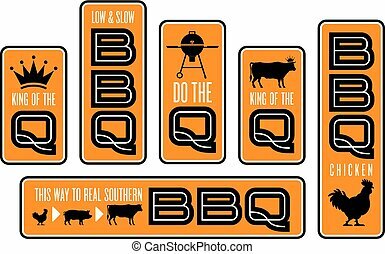 Vector Barbecue designs featuring cow, pig, chicken, grill, and crown illustrations. 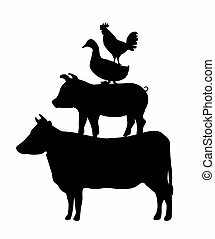 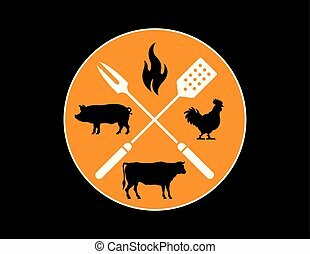 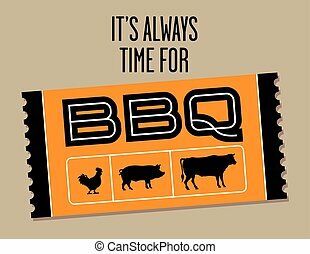 Vector Barbecue design features cow, pig, chicken, and flame silhouette illustrations with crossed fork and spatula. 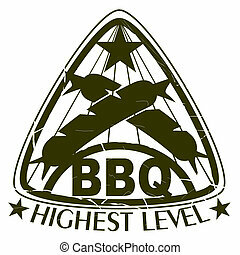 Badge or icon featuring a hot dog or wiener inserted through a crown. 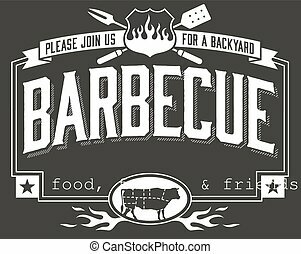 Includes three black and white or color options.